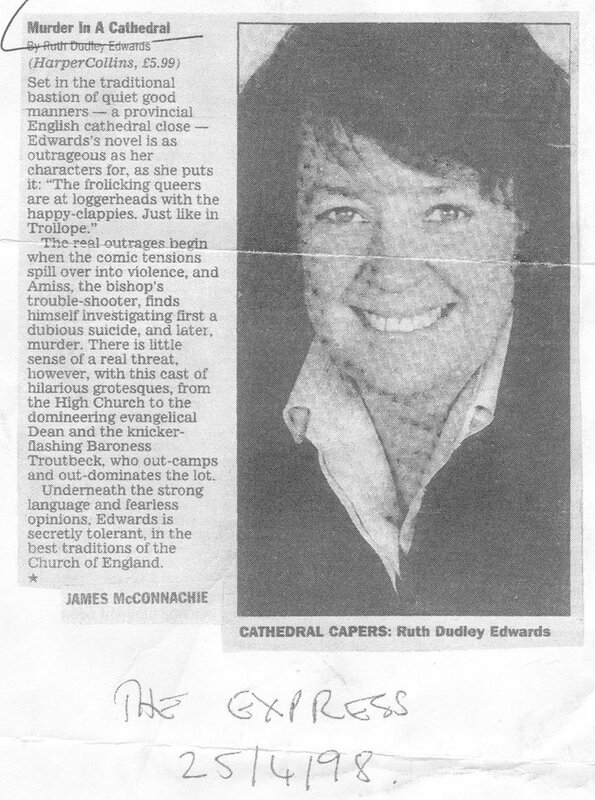 For many years Westonbury Cathedral has been dominated by a clique of High Church gays, so when Norman Cooper, an austere, intolerant, happy-clappy evangelist, is appointed dean, there is shock, outrage and fear. 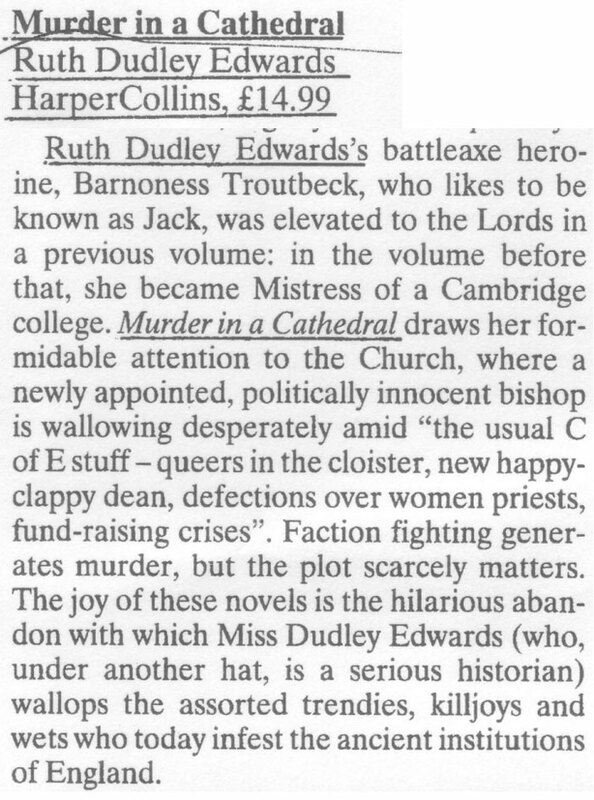 David Elworthy, the gentle and politically innocent new bishop, is distraught at the prospect of warfare between the factions; contentious issues include the camp lady chapel and the gay memorial under construction in the deanery garden. 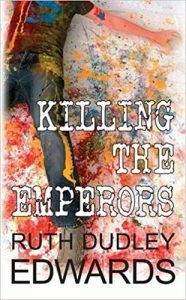 Desperate for help, Elworthy cries on the shoulder of his old friend, the redoubtable Baroness Troutbeck, who forces her unofficial troubleshooter, Robert Amiss, to move into the bishop’s palace. 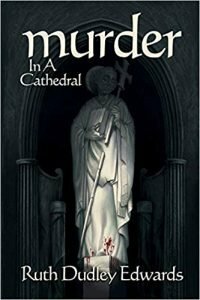 Amiss, Troutbeck and the cat Plutarch address themselves in their various ways to the bishop’s problems, which very soon include a clerical corpse in the cathedral. Is it suicide? Or is it murder? And who is likely to be next? Available on kindle and as a paperback on Amazon. 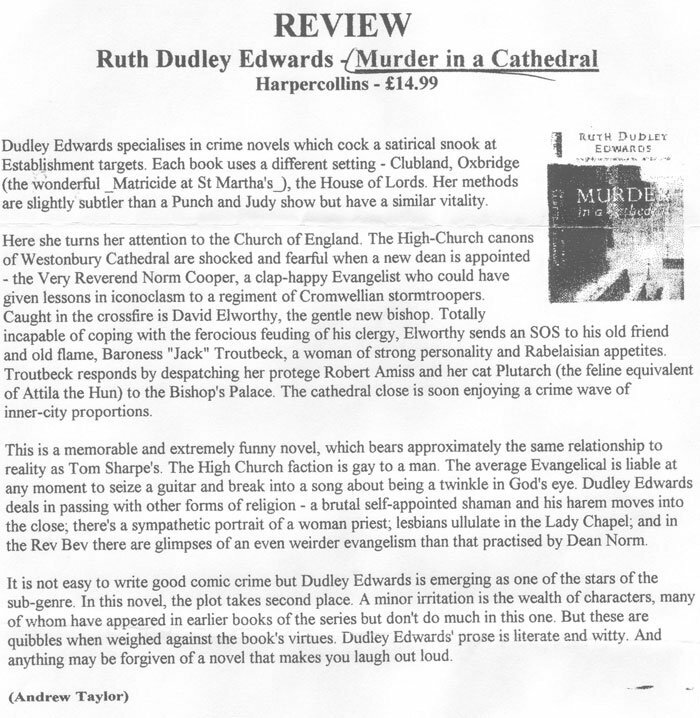 No one is writing wittier mystery fiction in Britain today than Ruth Dudley Edwards. 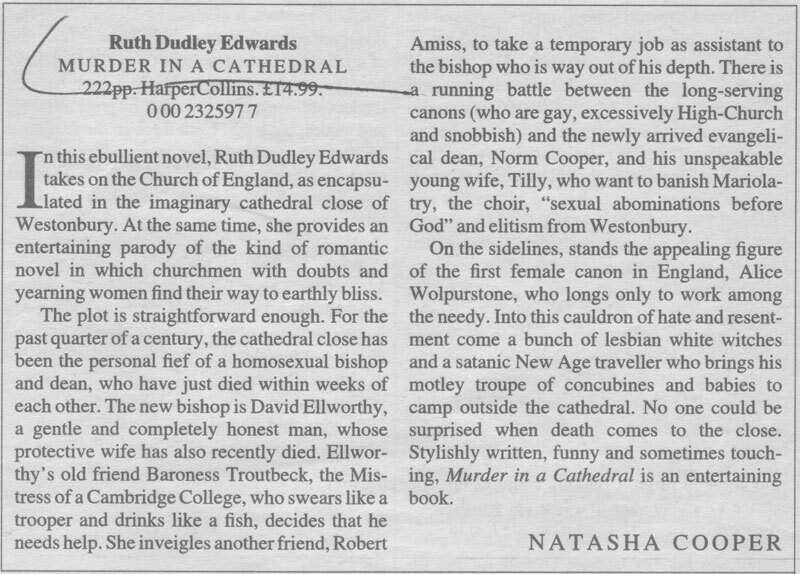 A wise and witty read.